Does anyone know if there is a list of ODB2 fault codes for the S1000XR? 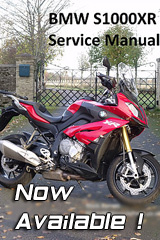 I recently used the Motoscan app to clear a service message and also found fault codes 800E88 and C90403. Neither of these caused a warning light and bike runs perfectly but I'd still like to know what these codes mean. Unfortunately the Motoscan app doesn't describe the codes. Good question....the GS-911 does tell you what things are when they pop up, but it would be nice to have a complete explaination list. Quick Google suggests 800E88 could be Hi Beam issue. Have you had a bulb blow in the past perhaps? Maybe that's the stored code even if the bulb is replaced. Not getting anything for C90403.